20-year-old Neeraj Chopra secured India's first ever gold medal at the Asian Games in javelin throw event. He accomplished the feat on Monday in the ongoing Asian Games 2018 in Indonesia's Jakarta and Palembang. 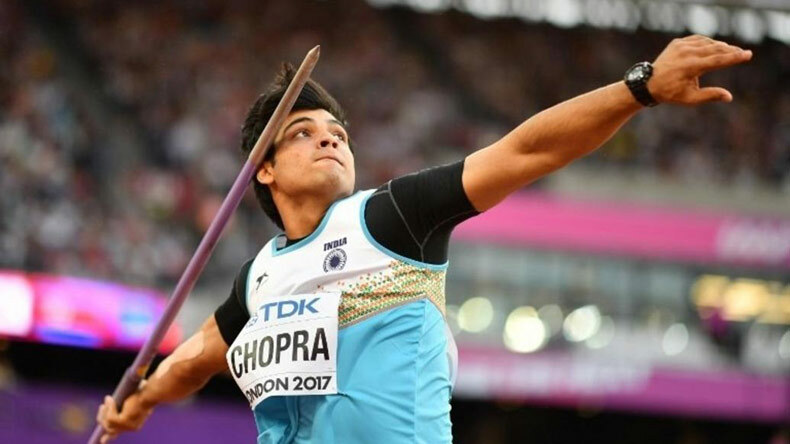 Star javelin thrower Neeraj Chopra clinched India’s first ever gold in the discipline on Monday at the Asian Games 2018 in Indonesia’s Jakarta and Palembang. The 20-year-old registered a giant throw of 88.06 metres to get the podium finish in the javelin throw event. The second best throw was secured by China’s Qizhen Liu who registered 82.22 metres while Pakistan’s Arshad Nadeem finished at the third spot with 80.75 metres. 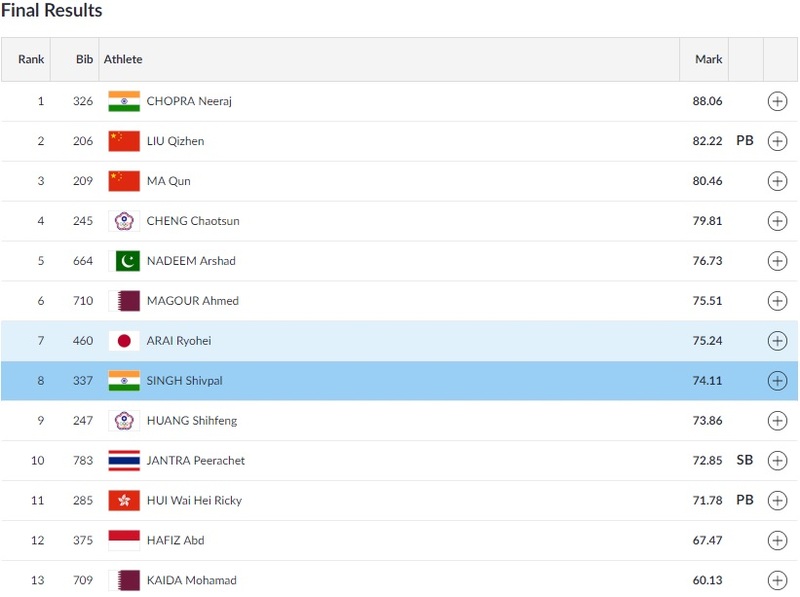 Entering the finals as the favourite, Neeraj Chopra started at 4th and secured a throw of 83.46 metres. The Indian star fouled in his second attempt but stomped his authority over his rivals with a magnificent throw of 88.06 metres, which ultimately fetched him the gold. After winning the gold, Neeraj Chopra reflected on his achievement while talking to media. “The competition was good, I had trained well and was focused on getting a gold medal for the country. I dedicate my medal to Atal Bihari Vajpayee ji who was a great man,” he said. India’s medal tally now stands at 41 which includes 8 gold, 13 silver and 20 bronze. Neeraj Chopra was touted to clinch gold at the Asian Games 2018 way before the sporting event even started. The 20-year-old has been riding high on a purple patch since the turn of the year and issued his intentions at the Diamond League meet in Doha, Qatar where he broke his national record.